'Scrooge's Last Adventure,' Part 4 of 4! The day of reckoning is here! Uncle Scrooge vows to take back his fortune-and Duckburg-from Flintheart Glomgold and John D. Rockerduck! But the enemy tycoons promise a bruising battle... *Retailers: See your order form for incentive information. 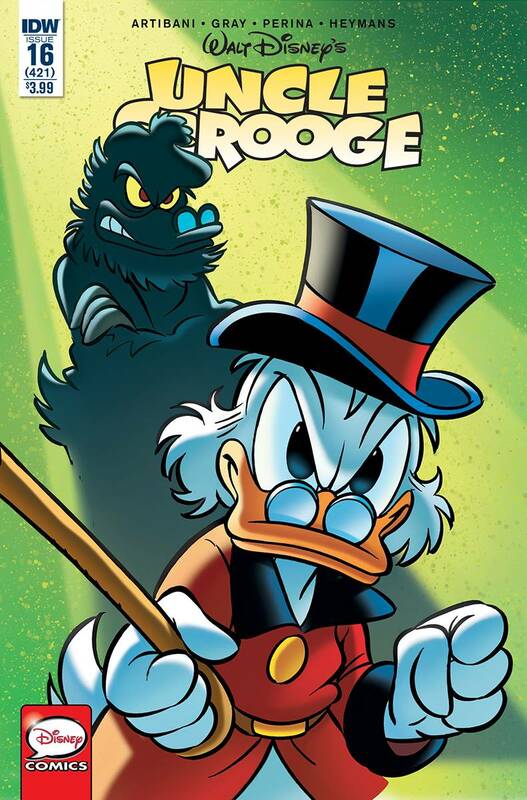 Bullet points: ' 'Scrooge's Last Adventure,' our awesome four-part epic, concludes with Scrooge McDuck's most famous arch-enemies on hand! ' Continues this beloved series' legacy numbering at #420! ' 40 action-packed pages for only $3.99! ' Check out the film noir variant cover!